This alternative version of Sullivan and Miranda’s Calculus: Early Transcendentals includes chapters 8-16, and is ideal for instructors who just want coverage of topics in multivariable calculus. Michael Sullivan and Kathleen Miranda have written a contemporary calculus textbook that instructors will respect and students can use. 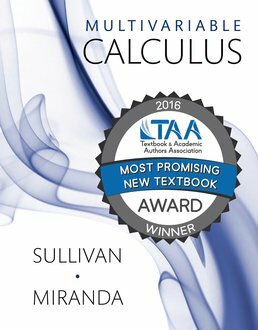 Consistent in its use of language and notation, Sullivan and Miranda’s　Calculus offers clear and precise mathematics at an appropriate level of rigor. The authors help students learn calculus conceptually, while also emphasizing computational and problem-solving skills. The book contains a wide array of problems including engaging challenge problems and applied exercises that model the physical sciences, life sciences, economics, and other disciplines. Algebra-weak students will benefit from marginal annotations that help strengthen algebraic understanding, the many references to review material, and extensive practice exercises. Strong media offerings include interactive figures and online homework. Sullivan and Miranda’s Calculus has been built with today’s instructors and students in mind. Michael Sullivan, Emeritus Professor of Mathematics at Chicago State University, received a Ph.D. in mathematics from the Illinois Institute of Technology. Before retiring, Mike taught at Chicago State for 35 years, where he honed an approach to teaching and writing that forms the foundation for his textbooks. 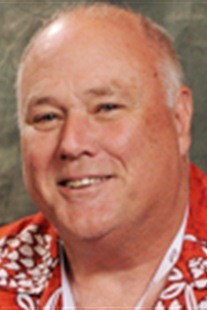 Mike has been writing for over 35 years and currently has fifteen books in print. His books have been awarded both Texty and McGuffey awards from TAA. Mike is a member of both the American Mathematical Society and the Mathematical Association of America and the Text and Academic Authors Association, and received the TAA Lifetime Achievement Award in 2007. His influence in the field of mathematics extends to his four children: Kathleen, who teaches college mathematics; Michael III, who also teaches college mathematics, and who is his coauthor on two precalculus series; Dan, who is a sales director for a college textbook publishing company; and Colleen, who teaches middle-school and secondary school mathematics. Twelve grandchildren round out the family.